Trail runners who ware ready to feel the burn of 1,800 vertical feet of running up to 10,000 feet should embrace Mount Rose. Depending your running fitness, this one might go faster than 3.5 hours - half the adventure is downhill! Running to Lake Tahoe's second highest summit is a great way to see some of the most impressive views of the Tahoe area while getting in a monster workout. The 10,776 ft. peak of Mount Rose is a popular hike and doubles nicely as a challenging trail run, with all the same waterfalls, open meadows, and expansive views - they just go by a little quicker! As an out and back run, it's 10.4 miles and over 1,800 vertical feet of quad burning fun. Starting from the Mount Rose Trailhead, follow the well-signed trails that will lead you to the top. The natural terrain for this trail lends itself to a good trail run rhythm. After an initial climb of 2.5 miles to get your blood pumping, there are sustained, flat sections that help dial in your pace (and get used to the thinner air) before the big push to the top. Note that the higher you go, the more searing the sun becomes - an early morning start is a wise idea in the height of summer. The final two miles of the run are going to test your mettle as the trail abruptly climbs over 1,700 vertical feet to the summit. This path can be dry and dusty at times and the steep grade will keep you on your toes on the way up—and even more so on the way down! Eventually, treeline fades away and the open mountain slopes present expansive views in all directions. 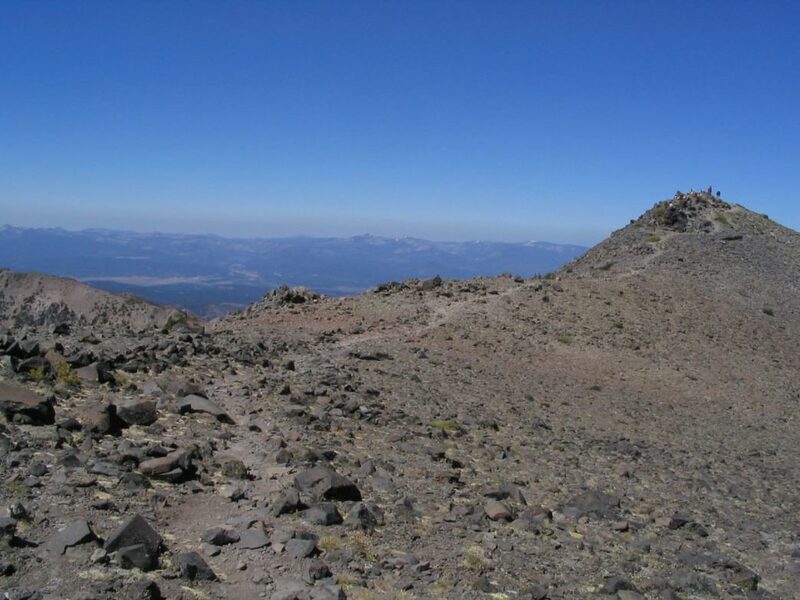 The last push to the highest point makes no doubt of Mount Rose's volcanic past, with porous rock outcrops decorating the summit. Watch your footing on the way down, falling on sharp rocks isn't a pleasant experience! Strong trail runners can expect to do the full route in 3 hours or less. Trail runners who aren't afraid of the sustained, steep push to the top and the presence of the blazing sun are going to love pushing themselves on this run. All the natural glory - waterfalls, wildflowers, wildlife - are on the way and watching the world transform from green meadows to rugged, dry mountain slopes is amazing. The 10.4 round trip isn't for wimps - the push to the top is made tougher by the thin air (even for locals). However, the trail is in excellent shape, the signage takes care of most of the navigational challenge, and there are water sources on the lower parts of the trail.